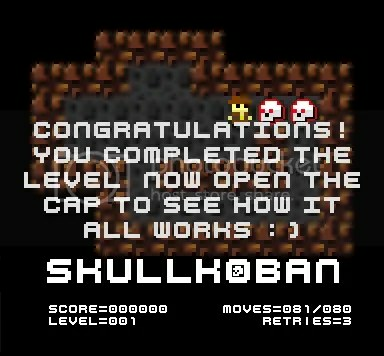 I’ve just completed my first tutorial in Construct. 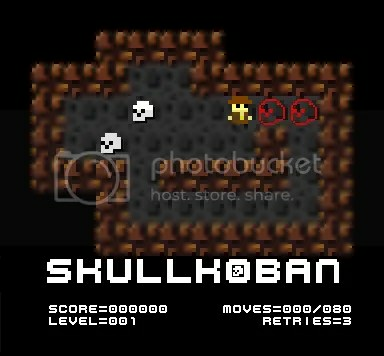 It’s a 1 level Sokoban clone called SkullKoBan. I’ve commented all the events in as plain English as I can manage, which is some mean feat when I come from the North West of the UK :). A small note – I’m no Construct expert or programming deity so there may be things in the events that can be done easier, better or more efficient. 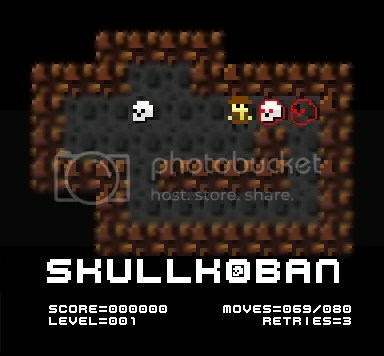 I just evented it to the best of my ability. Oh and you’ll need to have Lucid’s wonderful SpriteFont plugin installed for it to work correctly, there is a link in GMG’s reply in the thread on the Construct forums. July 27, 2010 Not Much Action Here Eh?